Current status  The land has been developed into residential and commercial areas. The remains of Crowfield House and Gardens are protected with a conservation easement that allows continued archaeological study. 1703 or 1704  John Berringer was killed on a military expedition and his sister Mary inherited the property. Mary resided in Barbados and conveyed the property to Col. John Gibbes (3, p. 197). 1711  Col. John Gibbes passed away leaving the property to his son, John Gibbes II. The Gibbes resided at the plantation (3, p. 197). 1722  John Gibbes II divided the property and sold 1,440 acres to Arthur Middleton (3, p. 197). 1727  Arthur Middleton's eldest son, William Middleton became owner of Crowfield Plantation. William constructed a grand brick, mansion house (circa 1730) and developed extensive garden areas. The Middletons gave the plantation the name Crowfield (3, p. 197) (4, p. 26). 1753  William Middleton advertised the 1,800 acre Crowfield Plantation for sale as he and his family were planning on returning to England (3, p. 198). 1754  William Walter purchased Crowfield Plantation including all land, the house and furnishings (3, p. 198). 1766  William Walter died leaving the plantation to daughter Elizabeth Walter. Eizabeth married William Haggatt of London and it appears the couple never lived at Crowfield. The plantation declined in condition drastically during this period (3, p. 198).
?  William Haggatt inherited the property after Elizabeth's death. Crowfield then passed to Haggatt's second wife upon his death and she quickly sold it to Samuel Carne, also of London (3, p. 198). 1776  Rowlins Lowndes purchased the plantation from Samuel Carne. 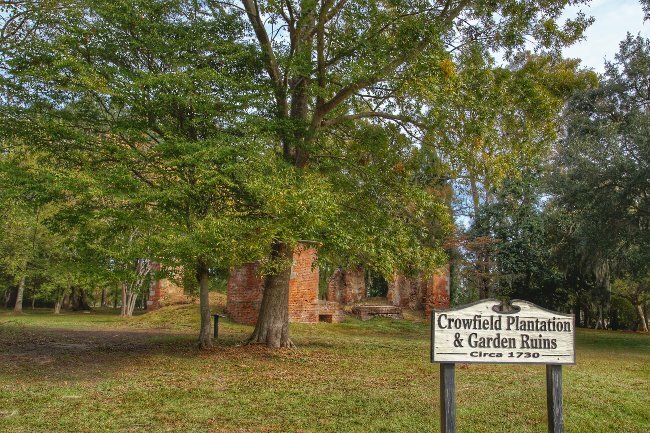 Lowndes sent his family from Charleston to live at Crowfield Plantation during the Revolutionary War for their safety (3, p. 199). 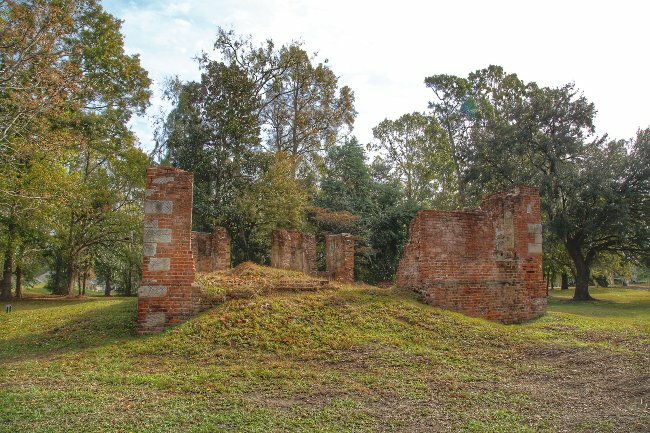 Circa 1784  The Lowndes family appear to have left the plantation after the war and sold to John Middleton. John was the youngest son of former Crowfield owner William Middleton (3, p. 200). 1784  John Middleton died soon after the purchase and Crowfield Plantation became the property of his only child, John Izard Middleton III (3, p. 200). 1826  Although John Middleton III never lived full-time at Crowfield, he owned it until his death at which time it went to cousin Henry A. Middleton (3, p. 200). 1876  Like his cousin, Henry A. Middleton rarely stayed at Crowfield but did retain the property until his death (3, p. 200).
?  Langdon Cheves acquired the plantation and leased out small plots of the property to local farmers. At this time, the house was in a state of decay with the roof, floors, and staircases gone but the walls were still standing (3, p. 200). 1886  House partially destroyed by earthquake. Only portions of the first story wall remained standing (3, p. 200). 1930  The West Virginia Pulp and Paper Company, now called Westvaco, purchased the 2,850 acre plantation for its pine timber (3, p. 202) (8). 1970s  Westvaco developed the property into residential housing communities and a golf course. 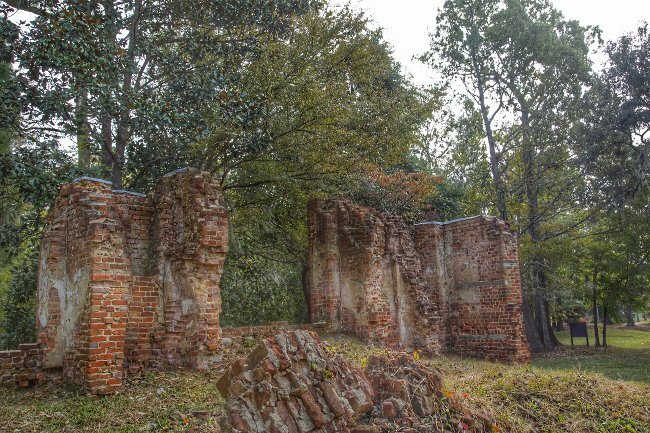 The remains of house are owned by the Crowfield Homeowner's Association and are protected with a conservation easement that allows continued archaeological study (3, p. 202). A number of tall oaks from the mile long avenue still stand. 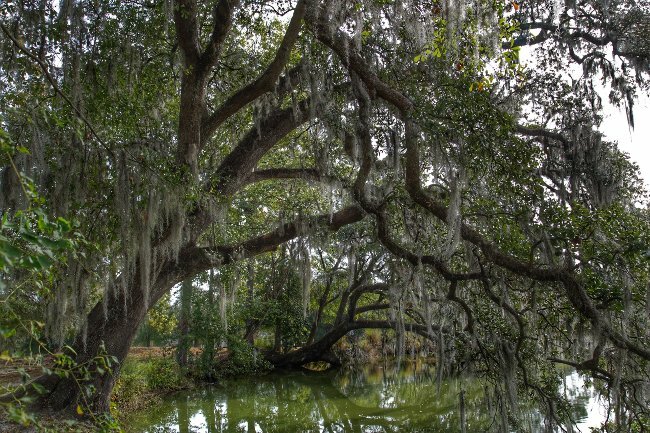 A Context For the Study of Lowcountry Gardens - PDF - Michael Trinkley and Debi Hacker, 2007, for the Chicora Foundation.